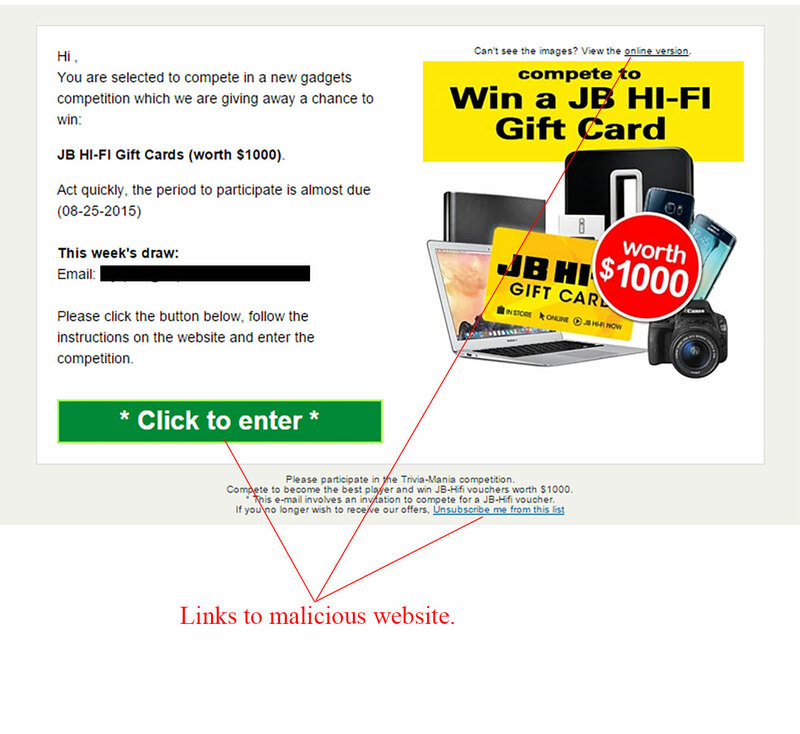 This email targets readers interested in Australian / New Zealand electronics store, JB Hi-Fi, by promoting a competition to win a gift card. It is an attempt to infect your computer with malware. Delete it immediately and keep reading to find out more. Figure A shows the email caught by our spam filters. It is a clear scam attempt. 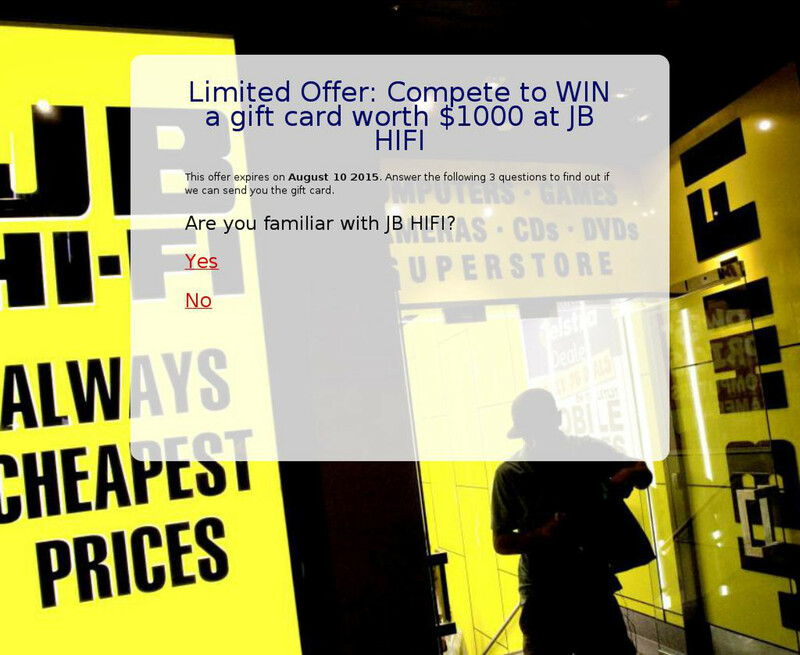 The subject reads “JB Hi-Fi $1000 Giftcard” and the sender is said to be “JB HiFi – Giftcard” but when looking at the email address it is in no way associated with the official website. All of the links in this email are dangerous – do not click any, not even the unsubscribe link. The email is branded to suit the JB Hi-Fi brand, unlike the previous JB Hi-Fi scam attempt, this time the spelling of JB Hi-Fi is correct. There are however some clear faults which can help you recognise this email as a scam attempt. Figure B is a screenshot we were safely able to capture of the website you will land on if clicking any links in this email. The page entices you to answer a simple question to go in the draw to win the voucher. Do not go any further – your computer is already at risk. Visiting this website will infect your computer with malware. As usual, delete this email immediately if received. Gift card email scams have been circulating the last few weeks and the best way to stay safe is to not read them at all and remove them from your inbox.